The extended bubble in the credit, housing, and financial markets created twenty-five years of artificial prosperity and wealth. The bubble has burst and much of that inflated wealth is gone. The government has attempted to pump air back into the bubble in a financial experiment of unprecedented magnitude. The goal is to get markets up, save banks and corporations, and reduce unemployment. This has created another artificial world and will have unintended consequence-both bullish and bearish. One thing is certain, financial turbulence will be greatly increased. 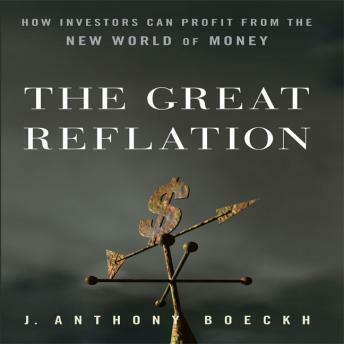 In The Great Reflation, author Tony Boeckh, a forty-year market veteran, helps you understand this new world of money and how it will play out for investments and business. Engaging and insightful, this timely guide provides you with the tools to navigate tomorrow's rapidly evolving financial landscape. Engaging and informative, The Great Reflation provides inverstors with the knowledge, insights, background, and tools for both building and protecting wealth, and allows you to find financial opportunities in the economic challenges that lie ahead.